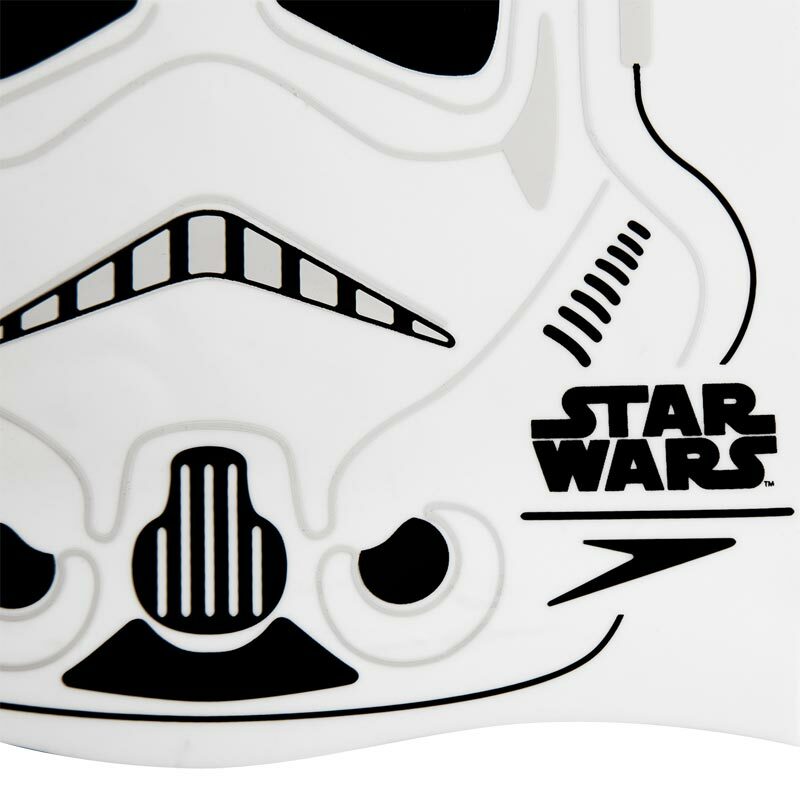 Support the Empire with the Speedo ® Junior Star Wars Stormtrooper Swimming Cap. 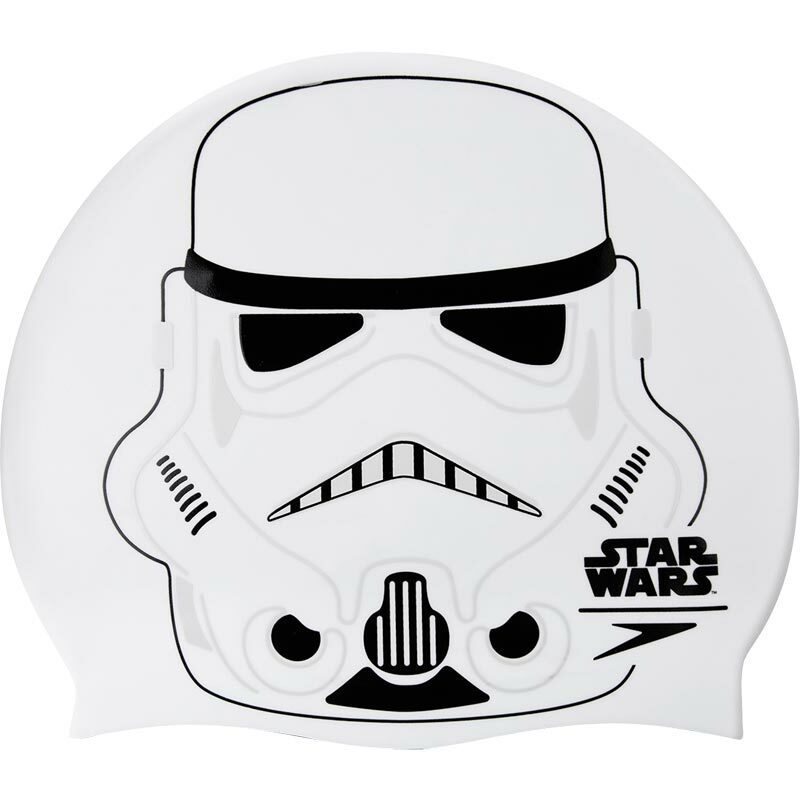 This cap will liven up your training sessions whilst helping protect your hair against chlorine. Offering excellent comfort and fit, this cap is great for protecting hair during lessons or swim training. Suitable for 6-14 year olds. Silicone cap - durable for long lasting wear and won't snag or pull hair. Comfortable and easy to fit. Cap helps protect hair again chlorine.